Plumbing or Heating Problem?We can help you! Transgas Services provides professional central heating installation, service and repair along with all aspects of general plumbing in the South West London and surrounding area. We are based in Surbiton in Surrey, which is an ideal location for us to be able to provide our services across a wide area. We are extremely proud of our Worcester, Accredited Installer status. We have extensive experience in all aspects of the trade and specialise in fault finding and repairing existing central heating systems/boilers. We also have a team of plumbers who are able to assist you in all aspects of your general plumbing requirements. All of our engineers aim to provide the highest standards of service with the least amount of inconvenience. Since being established in 2003 we have sub-contracted to some of the biggest and most respected companies in the trade. Working with such prestigious names as Sir Alfred McAlpine Utility Services, Morrison Utility Services, CORGI and a host of estate/letting agents has led to us developing the highest standards of service and professionalism. We have lots of experience in fault-finding and repairing domestic central heating systems and boilers. This expertise means a great service to you the customer, at the best possible value. 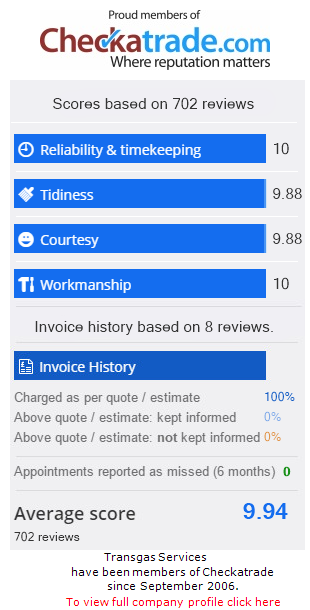 We also pride ourselves on our customer service – we will always put the customer first and we do our utmost to provide the very best service. We are flexible and will do our utmost to help potential customers with their needs. The only way to find out if we can help you is to get in touch so call us straight away on – 0208 399 0408 or 07776 170 622.